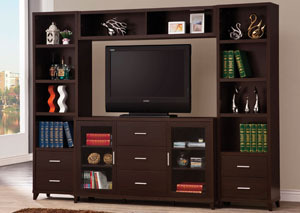 This Sleek Tv Console Has A Simple Design, Plenty Of Storage Space With Adjustable Shelves And A Large Surface For Your Television. Finished In Cappuccino To Make Decorating Easy. 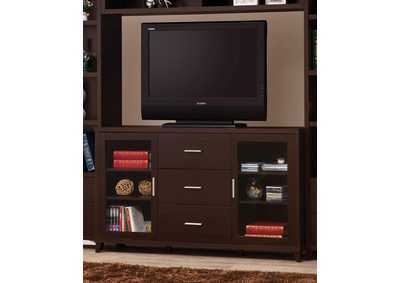 For Larger Living Rooms Or Entertainment Areas, Add Two Media Towers And A Bridge For More Shelf And Storage Space. 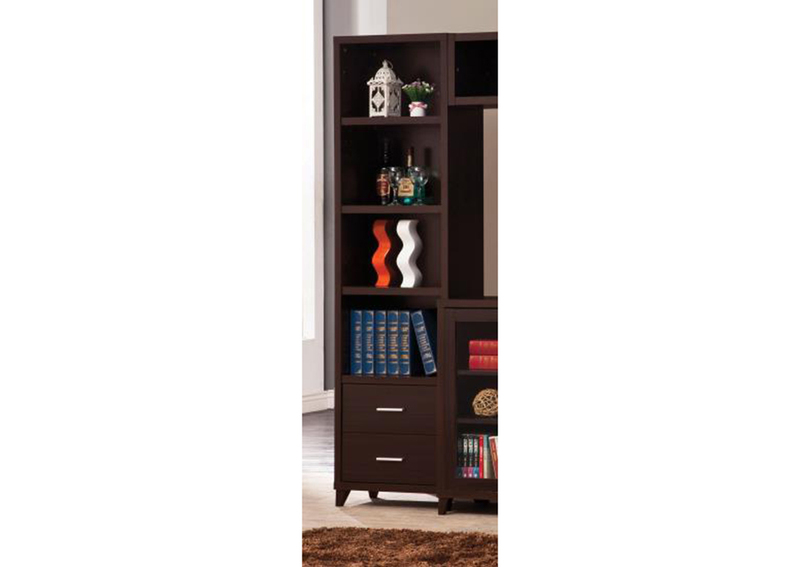 Use These Pieces To Display Your Favorite Collectibles Or Store Your Books. 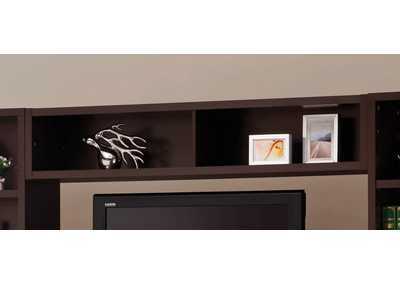 This Wall Unit Also Features Tapered Legs And Brushed Silver Hardware.